Facebook is 12 years old this year. Since its conception, the idea of a Dislike button has been occasionally flirted with and users have often clamoured in unison for it to be implemented time and again. 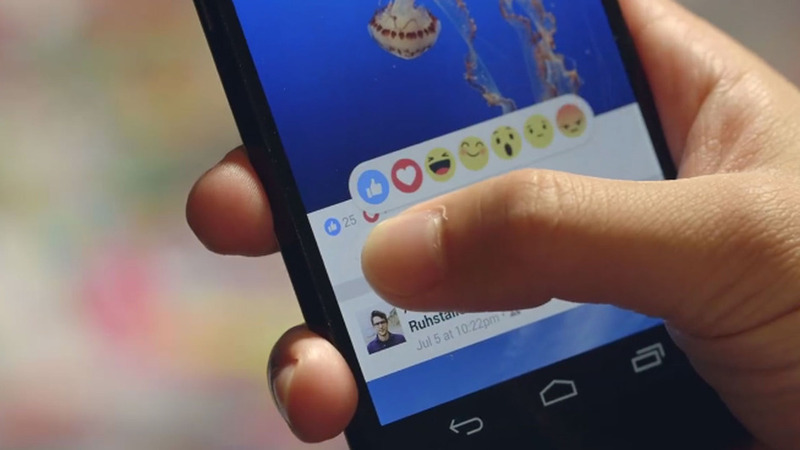 Last October, it was announced that Facebook would finally roll out the “Dislike button” in the form of emoticons, labelled as “Reactions”. However, these emoticons are nothing like the actual Dislike button that users have asked for. The “Reactions” are a side step. Picture this: you see a post that you deem offensive and doesn’t sit well with you. Would you opt to use the above red-faced frown emote (far right) to reflect your thoughts? Emoticons are laced with light humour and carries a comical connotation; they are hardly anything like a Dislike button. There are a myriad of reasons why I am firmly convinced that Facebook will never introduce an actual thumbs down Dislike button. For the sake of summary, these are three core reasons. First, a Dislike button is counterproductive to Facebook’s business. Facebook is the platform we’re on when we’re brain-dead from work, where we scroll aimlessly just before and after we wake up or where we visit in moments of boredom. If we were to humanise Facebook, happy, fun or exciting would likely be the first few characteristics we would attach to its personality. In that regard, a Dislike button is in conflict with all the above. It introduces negativity to an otherwise positive platform, and as a result will turn users away and eventually drive its own traffic down. You may argue that a Dislike button would not change anything because a user can already express his resentment by commenting their disagreement. Not only is commenting and typing a response more tedious and much less convenient than simply clicking Dislike, a user immediately pays social repercussions for a negative comment. The dissenting view sticks out like a sore thumb amidst the sea of Likes and the positive one-two word comments, thrusting the user into a bright spotlight. To avoid being put in this situation, users will automatically refrain from commenting, with the exception of viral content where the comment boxes are already flooded with hundreds of messages. The option to comment can hardly be considered a substitute to a Dislike button. Secondly, Facebook is as much a platform for businesses as it is a casual hang out space. Since companies and businesses all operate a page and make use of it to push out announcements and promotions, the Dislike button is quite possibly the ultimate repellent. The idea of a Dislike button should be regarded as anathema to any business that adores clean and squeaky PR. Again, the Dislike metric will produce unnecessary negativity when managers would rather their page and content be free of sticks and stains. Last of all, a Dislike button will never see the light of day because it will eventually drive down the amount of content churned out on the platform, be it in the form of pictures uploaded, statuses posted or sharing of media. The current landscape of Facebook (or social media for that matter) is designed so businesses or social media celebrities optimise their content to be Like-inducing. As soon as everyone can hit Dislike, this new filter will entirely overhaul Facebook culture. This prompts businesses to be even more guarded of what they post. Furthermore, casual Facebook users like you and I will eventually auto-regulate ourselves to not post anything that may be prone to being Disliked. The casual user will, over a time period, be cultivated to exercise more caution in the type of content they create or upload, for fear of rejection in the form of Dislikes. As such, the time taken to craft content is not as “convenient”, and lengthened. With this time extension comes an overall drop in content. It may not happen overnight, but a decline in Facebook activity will be imminent and impending in the long haul. In sum, Facebook will never implement the dreamy Dislike button for reasons of corporatisation and business. However much they claim about concerns of the platform encouraging cyber-bullying or the enablement of “shaming” of victims, it’s all malarkey said to guise the cold fact that the Dislike metric is bad for business. After all, Facebook is ultimately still a product with stockholders and investors. Until this changes, we’ll have to make do without a Dislike button.